This is probably the 7th time I visited Kyoto ever since I came to Japan and this temple is one of places I never miss every time I go – Kiyomizudera (清水寺), one of the most celebrated temples in Kyoto. Kyoto is definitely one of my favorite cities in Japan. It is an old city with so many beautiful temples and historic places. Everything is just so charming here. 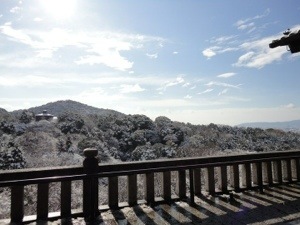 I came to this temple many times in different seasons. First time in winter..then fall, summer and now spring. Summer is not recommended since the sun will burn you like you are on the beach. Spring and fall are probably the best seasons to visit especially fall when the leaves turn yellow and orange. This temple is just magical in so many ways I can never explain. It is huge and the view from the temple is just amazing. 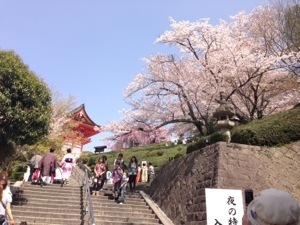 How to get there: Kyoto station -> Bus number 100 or 206 to Gojo-zaka (五条坂) or Kiyomizu-michi (清水道） stop. 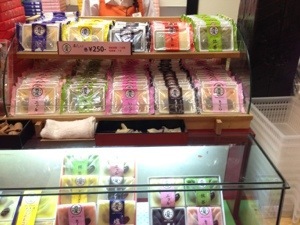 Each ride is 220 yen so it is recommended to buy 500 yen 1 day bus ticket. 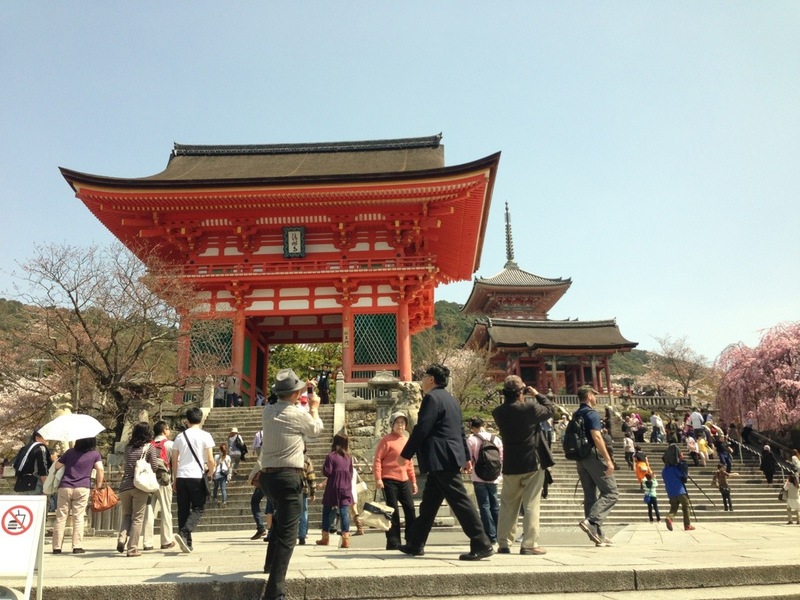 I have some of the pictures from my earlier trip to Kiyomizudera in winter and the recent one in spring. Can’t remember where I put other photos from other trips. You can see that this temple is beautiful all year round. 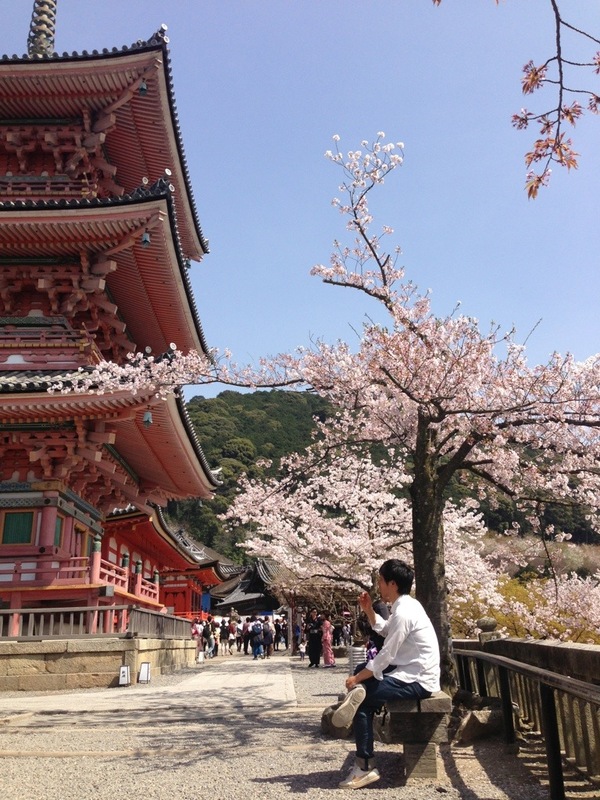 Now in spring, sakura is visible and it goes perfectly with the temple. Just beautiful! Looks gorgeous there! And the snacks sound good. Go visit if you have a chance. 🙂 amazing place. & yummy snack. 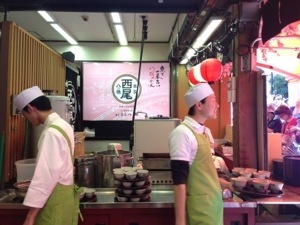 Reblogged this on Japan Raw Blog. Thanks for sharing. I like to visit Ryoanji in Kyoto. You have to! You won’t regret it! 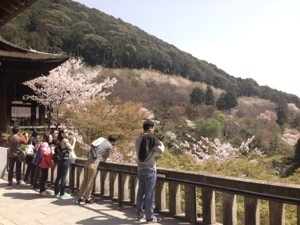 I’d love to go to Kiyomizu when the sakura bloom. Beautiful photos! 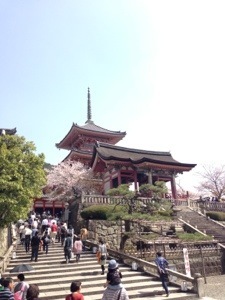 Kiyomizu has a sister-temple in Ueno park. It’s just a small temple, but I really like that one, too. I see. What’s the name of that temple? I would love to visit!